Use After Using Fish medicine and Water Treatments, when Water Quality has Changed or when Fish Appear Ill.
Any avid pond or aquarium keeper knows, the quality of the water the fish lives in is one of the most crucial factors affecting the health of fish. 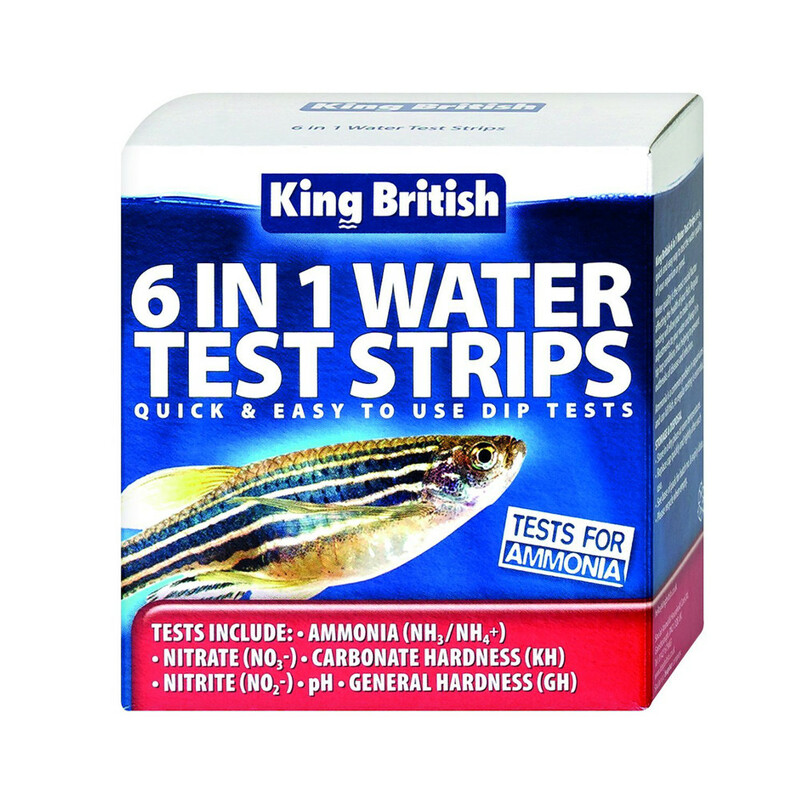 Regular testing of the water is vitally important for maintaining a well balanced ecosystem. 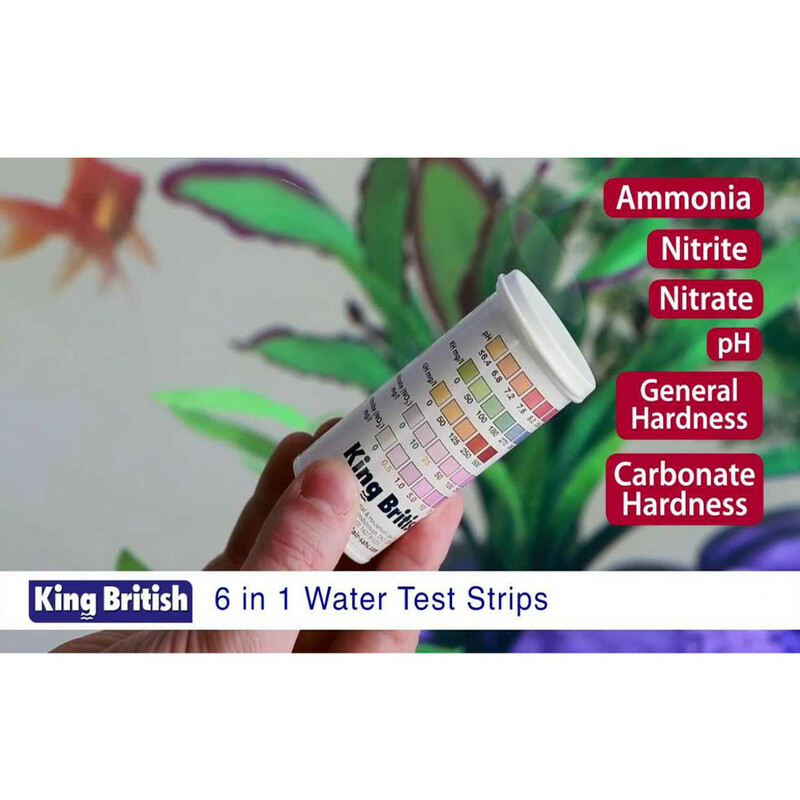 Using the King British 6 in 1 Water Test Strips you can easily monitor the levels of Ammonia, Nitrate, Carbonate Hardness, Nitrite, pH and General hardness. If a problem is identified, you can act quick to sort the problem before it effects the health of your fish. Simple to use dip strips. Dip into the aquarium or Pond water and the water will soak into the small pads on the test strip. Then compare these to the chart guide supplied in the pack.